With a 2" x 3" commercial steel back seat support and adjustment rail and a 1500 lb. weight capacity, rest assured the structural integrity of the XM-9022 will not falter during your heaviest lifts. Our Hi-Impact 3" extra thick cushions comprised of commercial bonded foam and finished in a red double stitched, sweat and tear resistant Duraguard Vinyl offer unbeatable durability and comfort. From decline to military press position, the XM-9022 Commercial FID offers a 7 position adjustable back pad coupled with an ergonomically designed 3 position seat. An uncompromising attention to detail can be found in the bolted foot pads, bolted skid resistant feet and built-in transport wheels to maneuver easily inside cages or Smith machines. Product Specs: Seat Cushion: 16" L x 16" W , Back Cushion: 33.50" L x 11.50" W , Assembled Dimensions: 52.50" L x 22.50" W x 50.50" H.
With a 2" x 3" commercial steel back seat support and adjustment rail and a 1500 lb. weight capacity, rest assured the structural integrity of the XM-9022 will not falter during your heaviest lifts. Our Hi-Impact 3" extra thick cushions comprised of commercial bonded foam and finished in a red double stitched, sweat and tear resistant Duraguard Vinyl offer unbeatable durability and comfort. From decline to military press position, the XM-9022 Commercial FID offers a 7 position adjustable back pad coupled with an ergonomically designed 3 position seat. An uncompromising attention to detail can be found in the bolted foot pads, bolted skid resistant feet and built-in transport wheels to maneuver easily inside cages or Smith machines. 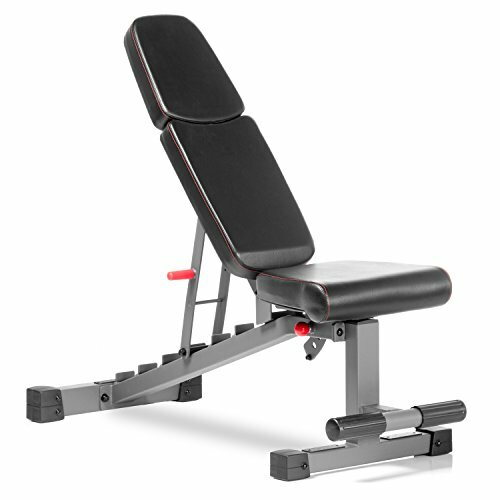 Search XMark benches to see our full line of exceptional weight benches including other FID benches, adjustable abdominal benches, flat utility benches, Olympic weight benches and more!